About The Brewery Crew - Enegren Brewing Co. Founded in 2010, Enegren Brewing Company is an independently owned craft brewery located in Moorpark, CA - Ventura County. The comapny - founded by and a passion for good beer, Chris & Matt Enegren and Joe Nascenzi - focuses on German-Inspired beers, with a heavy emphasis on lager-style beers. We produce 6 beers year round: The Lightest One, Lagertha, Schoner Tag, Valkyrie, Enegren IPA, and Nighthawk. We also have several rotating seasonal brews - as well as numerous special release and one-off brews that push the boundaries of lager craft beer. Visit our beer page for more information on our beers. There is something special about beer. Something uniquely intrinsic about its nature that brings people together to celebrate life, feats of strength and the honor earned from a hard day's work. So take hold of your glass, and raise it high. Here's to you. Here's to the day. And here's to the glory and the power of beer. Enegren Brewing Company started in the dorm rooms of Loyola Marymount University where Brew Captain Chris Enegren brewed his first batches with extract on a friend's on-campus apartment stove. Chris quickly outgrew his stovetop setup and designed and built a 10-gallon all grain system that summer. At this point he had moved out of the dorms and into a house off campus where his younger brother Matt joined in brewing. As a side note this may be the first civilized meeting of the two brothers in the 18 years they had been around one another. They brewed together for a year with help from several friends before they had to move the brewery. Enter Brew Chief Joe Nascenzi. Joe and Chris played on the LMU Lacrosse team together and when Joe heard that Chris was looking for a place to relocate the brewery, he gladly offered up his backyard and garage. Thus the three EBC crew were formed. 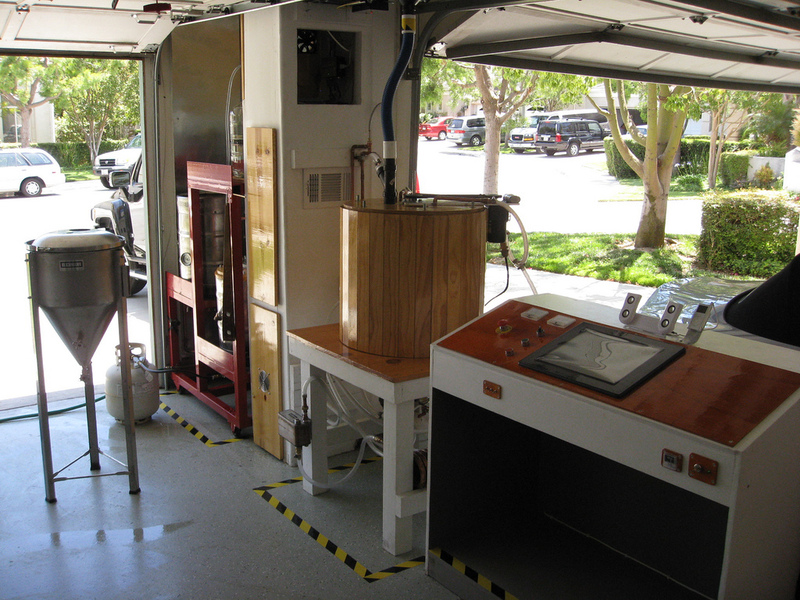 After graduation, the 10 gallon brewery moved back to the Enegren family residence in Moorpark California where it got a complete overhaul and became an automated brewery. The goal then was create a brewery where we could repeat our batches with reasonable consistency in order to finalize recipes with the hopes of a commercial brewing future. Then one morning as the three of us were just finishing up an all night double brew, we realized that if we were going to put so much time and money into brewing, we might as well go for our commercial dreams. And so we created our commercial brewery. We moved to a custom 3-barrel brewery in designed by Chris and built by Premier Stainless in San Diego. We opened on July 31st 2011 with two beers on tap - Valkyrie Altbier and Protector IPA. We soon expanded to additional seasonal brews, various special releases and several barrel aged brews. We soon reached our max capacity at this small 3-BBL brewery and in 2013 began planning a new 15-barrel brewery in a new, larger location in Moorpark. On January 24th, 2015 we opened our new 15 barrel brewery a block away from our old brewery. This new brewery increased our capacity by over 5 times with room to grow over the next few years. We also expanded our tasting room, added more taps, and expanded our distribution around the community. Currently we're ramping up production and working toward additional fermentation capacity.